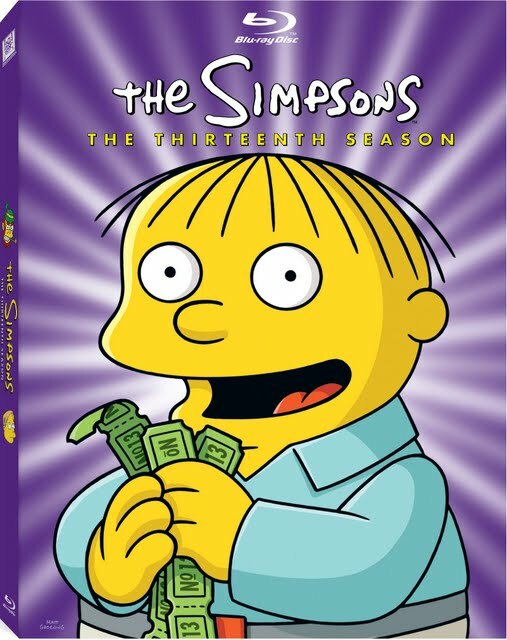 Even though it marked the final full season to employ the series' original and medium's traditional cell animation process, the 2001-2002 twenty-two episode thirteenth installment of Matt Groening's The Simpsons continued to dominate the competition with a winningly creative collection of tales captured in high definition in this three disc boxed set. While the video is definitely elevated to near three-dimensional quality in this full screen transfer to Blu-ray, the moment that first strains of Danny Elfman’s instantly recognizable theme begins, you’ll be particularly knocked out by the incredible audio pouring out of all surround sound speakers. 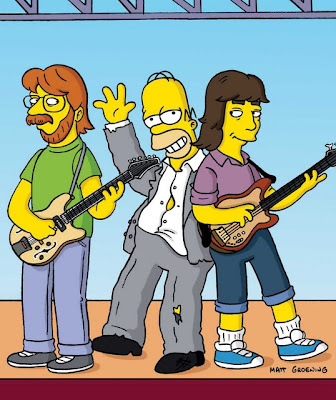 The season kicks off with five episodes that had been completed but not broadcast during the previous year, including an annual revisit to the series' ongoing Treehouse of Horror specials that use the glue of popular culture to combine humor with horror in some memorable movie spoof moments. And regardless of the fact that some of the minor characters that had crossed paths with the Simpsons in the past arrive unexpectedly as Homer and Ned’s wild Vegas night of impulsive weddings catch up with them and Marge’s obsessed old high school prom date offers her an indecent proposal, even the most casual fans of the series will be able to jump right into the wide range of adventures that await. 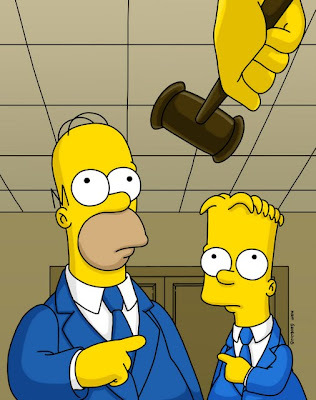 In a genius crossover move to bring in talent from Fox’s top rated series Malcolm in the Middle to Simpsons which was then the second most viewed sitcom on the network, seven-time Emmy nominated Middle star Jane Kaczmarek replaces the more lenient vacationing Judge Snyder as tough-minded Constance Harm who demands Sheriff Joe Arpaio styled punishment for Bart Simpson – tethering Bart to Homer in one of the season’s standout episodes. 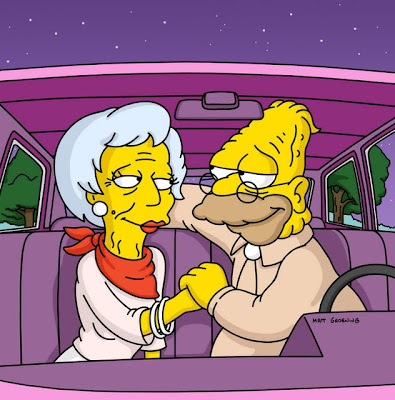 Moving with surprising deftness from hysteria to tenderness, The Simpsons is additionally impressive for ensuring that the “B” plot of each episode is just as imaginative as the “A” storyline that – unlike Fox’s furiously funny but moral proof Family Guy -- manages to generate laughter from its female characters in tandem to the one-two punch of Homer and Bart. 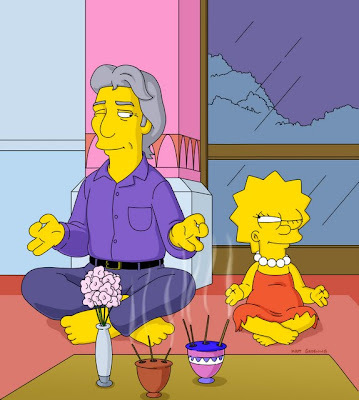 Whether Lisa is seeking advice on becoming a Buddhist from Richard Gere before pretending to be a college student when she realizes that she fits in better in academia or Marge is on the warpath to ban sugar once Springfield wins a world record for being the fattest town, you’re simply never able to predict just where the show will go from one minute to the next. Journeying to Branson, Missouri to rescue Grampa from the manipulative senior car whore (Olympia Dukakis), traveling to Brazil for Lisa’s sake or to Toronto so that Bart can win back Reese Witherspoon, the thirteenth season ambitiously refuses to commit to one setting or single storyline for very long, which somehow works to its advantage when it so could’ve easily wandered into ADD nonsense. 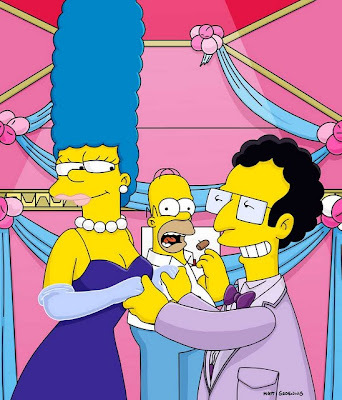 From writing the notes inside of fortune cookies or becoming addicted to medical marijuana, the characters learn things the hard way as Bart befriends a former cowboy movie star alcoholic before Homer and Marge have no choice but to get in the middle of Apu’s marital problems following the convenience store owner’s moment of weakness with the Squishee lady.